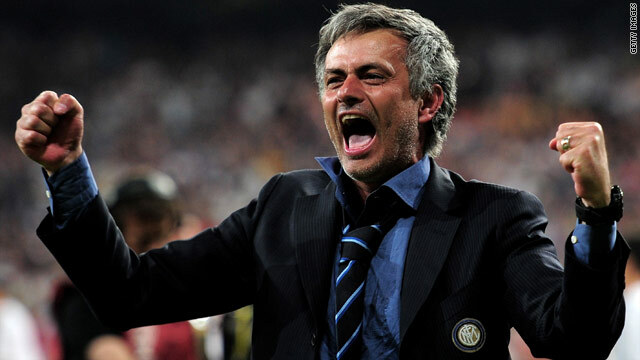 Jose Mourinho will be named as the new coach of Real Madrid on Monday after a package with Inter Milan was agreed. (CNN) -- Real Madrid will name Jose Mourinho as their new coach on Monday after the Spanish giants confirmed they had agreed a compensation package with his current club Inter Milan. Mourinho, who led the Italian Serie A side to an unprecedented treble this season, will now be released from his San Siro contract -- which ran until 2012. The Portuguese, who has guided both Porto and Inter to Champions League glory, will be presented at 1:00pm local time on Monday in succession to Manuel Pellegrini -- who was sacked on Wednesday. Mourinho reportedly had a release clause which meant Inter were to receive 16 million euros should he depart the club. A joint statement from the two clubs read: "Presidents Massimo Moratti and Florentino Perez met on Friday and, In light of the excellent and constructive relations between the two clubs, an agreement was reached on the contractual clause that binds Jose Mourinho to FC Internazionale. "The time and the manner by which the agreement will be honored has been defined. Massimo Moratti thanks Florentino Perez for his willingness to join him in Milan and for his courtesy, which confirms the strong links between the two clubs." Moratti had earlier told reporters that he was unwilling to compromise with Real on the subject of the release clause. "Mourinho has been spectacular, intelligent, brave and we acknowledge that," said Moratti. "This doesn't take away the fact that there is still an issue regarding the negotiations with Mourinho and with the club that wants him. "We want to end Mourinho's negotiations well, but we have a right to defend a position that is based on honesty and legality with regards to an agreement that was done with someone (Mourinho) that did their duty and the club (Inter) that allowed him the chance to free himself of his contract."